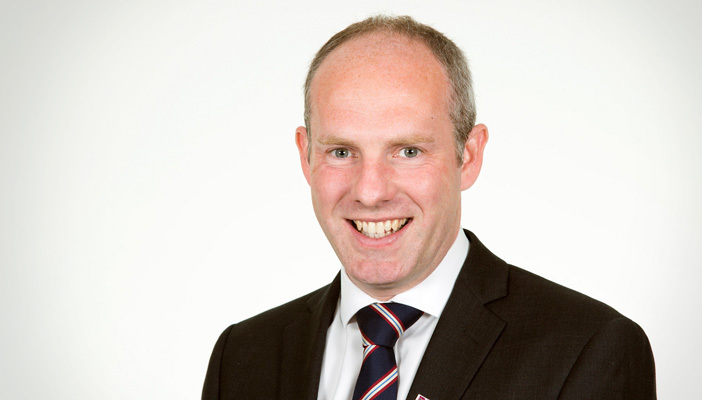 This May, MP Justin Tomlinson was appointed Minister for Disabled People at the Department for Work and Pensions. Helen Dearman from RNIB Campaigns recently put questions from RNIB members to him. Here we share the Minister’s answers to questions of particular interest to professionals supporting blind and partially sighted young people. Patrick asks, what are your priorities for improving life for blind and partially sighted young people? The number one is halving the disability employment gap. Over the last two years we’ve seen 339,000 more people with disabilities get into work. To halve the disability employment gap is about just over a million more. It’s a big challenge, but the Prime Minister’s personal commitment opens doors for me to lobby other government departments, businesses and the public sector. We’ve worked with Lord Holmes in the House of Lords. He’s done huge amounts to produce some really well-respected reports. Jeff says it’s very hard to find a job when you’re blind. He thinks one of the main problems is that employers don’t think that blind and partially sighted people can do a job as well as others. Do you agree that this is a problem? Part of the way we’re trying to combat this is through continuing our Disability Confident campaign. It busts myths, shares best practice and signposts businesses to support including Access To Work. Hugh worries that plans to extend the Access To Work scheme to more people, without increasing funding, will lead to a reduction in individual support. If he changes job, would he continue to receive the same level of support as now? This scheme is probably the biggest tangible lever I’ve got as a minister to help people with disabilities get into work. I understand Hugh’s point. He’s worried that if we keep increasing numbers, how will that money be shared out? However the recent Spending Review confirmed we’re increasing funding for Access to Work and the programme has my full support. You can listen to the Minister’s interview in full on the Vision magazine - Issue 75 podcast (interview at 00:52), or read a transcript of the full interview (first feature). At RNIB we are here to help young people and their families who are would like support and information about claiming benefits. You can find out more about benefits for young people of working age, and benefits for families and carers. You can also contact RNIB Legal Rights Service on 0303 123 9999 or email [email protected] for advice.